At Rye Family Dental Care we make it our priority to ensure you and your family’s oral health is at its very best, we place significant importance in preventative care and achieving and maintaining optimal health for our patients. 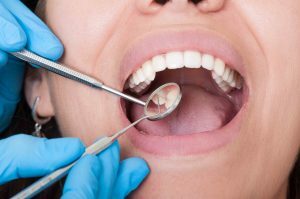 Scaling and cleaning teeth removes the build up of calculus, plaque and staining that occurs on the teeth. It helps prevent gum disease and tooth decay. It is important to have regular professional cleans. Ask one of our friendly dentists or hygienists how often you should see us for a clean. Research shows that poor oral health can contribute to the development of heart disease and increase the risk of stroke. It can also pose a serious threat to those with health problems such as diabetes, respiratory disease or osteoporosis. Poor oral hygiene can also lead to gum disease, or Gingivitis, which can cause Periodontitis if not treated by your dentist. Periodontitis involves an inflammation of the gums and bone loss, and can also lead to teeth loss if untreated. Maintaining good oral hygiene is important for everyone to ensure healthy teeth and overall well being and vitality. It is recommended that you visit your dentist every 6 months to achieve this. Remember to clean your teeth correctly to help remove bacterial plaque, leaving a clean tooth surface. Brushing and flossing your teeth helps you to maintain a healthy mouth. As part of your regular appointments we will often discuss your diet and how it can impact your oral health. It is important to be aware of the effects of sugar and acid on your teeth. Mouth guards are a plastic covering that is custom made to fit over your teeth. It should be worn when playing any sort of contact sport, for example basketball, football, netball etc. It will help prevent or minimise the damage that can be caused by a blow to the face. It can help prevent broken, chipped or avulsed teeth. Fluoride treatments are recommended for patients that are at medium or high risk of developing dental decay. Fluoride can be applied in many ways, either by a spot application or full mouth gel application. It will help to strengthen the teeth and can reduce sensitivity. If you have questions or concerns about your current oral health, contact us today and book in for an examination. The team at Rye Family Dental Care are committed to providing all patients with a caring and comfortable environment where they are reassured that they are receiving the highest quality care and personalised service.